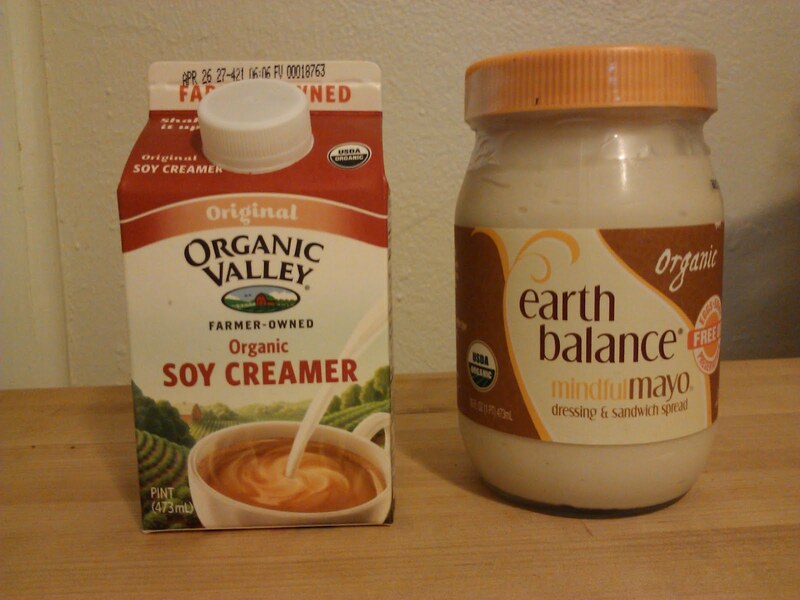 New things we're trying this week: Earth Balance Mindful Mayo and Organic Valley Soy Creamer. Tortillas: I can make those. Crackers: I love them. They are a bit of a comfort thing. A nervous nibble. I need to either figure out how to make them myself in a better way or just stop eating them. They're not so great for me. Salsa: Duh. I'm just being lazy right now since this is so easy to make and I used to make it all the time. Ginger Ale: Sugar is about to go bye bye. Ginger Ale will be a special treat and probably only when I go on vacation and can find the Blenheim, which, by the way, is so incredible. Mayo: I've yet to make a vegan version myself, but I know there are recipes out there so I just need to either experiment or cut it out. Interesting notes about the Omnis of the house... Jacob was at his dad's over spring break and so he ate a lot of meat every day and his dairy intake was way up. His face is breaking out really bad. He said he followed all the same routines as far as cleaning his face went, so he thinks it might be the change in diet. I have no idea what could be causing it, but I'm not going to argue. The man of the house is lactose intolerant but has been drinking milk in his coffee for a while. I've been suspecting that it's playing a part in some stomach issues he's been having (that and he doesn't like to eat fruit so much unless I bake it into a dessert and then what's the point?) He switched back to lactose-free milk a couple of weeks ago and then last week while we were on vacation we stopped at Trader Joe's and got some soy creamer. He also ordered soy milk in his coffee from the coffee shop and we got some soy milk on the side when we were out eating breakfast. Voila. He can tolerate the taste and he's been having less stomach issues. When we got home, we got some soy milk on the way home from the airport and he used that yesterday and now he's trying some soy creamer from Organic Valley. Hopefully that's going to give him some long term relief and it will be one less milk purchase for this house. On top of that, after noticing this morning that Jacob was hitting the rice milk instead of the cow's milk, I asked him if he cared if I just stopped buying the cow's milk altogether and he said he didn't care. What? OK. Regarding fruit: It's so damn hard to get fruit consumed around here. Bananas are not a problem for Jacob and I. We eat those like crazy. I will eat just about any fruit, really. Well, I hate papayas. They smell like bile to me and I just can't get past it. Jacob will eat fruit if it's cut up for him. Same with boyfriend. A couple of 5-year-olds there. I mean, seriously, they will not peel an orange, either one of them. Jacob will drink smoothies and boyfriend says that he will, too, so... I guess I am just going to have to start getting up early in the morning and taking charge of this fruit situation. I also have a sneaking suspicion that if less bread-type things are around to consume but fruit is around, the fruit will get eaten. Now I guess it's just a matter of using up some of the surplus pasta and crap in order to make that happen. It won't hurt that we're coming into fruit season with a vengeance with this crazy weather.